← Swarm at the airport. When I got home from work today, I could hear the buzz coming from my flower garden. So many bees! But they weren’t paying much attention to the flowers–the flowers aren’t even blooming in that section yet. They were drinking water from droplets on the leaves and from the nearby hose! This is exactly what I was trying to avoid by giving them Boardman feeders full of water. Maybe that’s not enough. 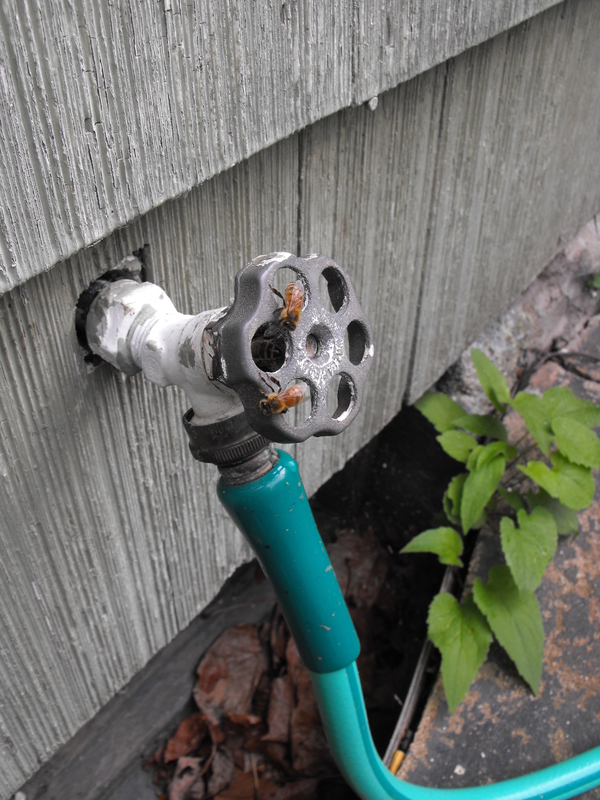 At least they are drinking from my own hose and not bothering the neighbours–or are they? I don’t understand it. It rained today and the grass was still wet. Why focus on the hose? Toni of City Bees Blogspot posted about this phenomenon in March. 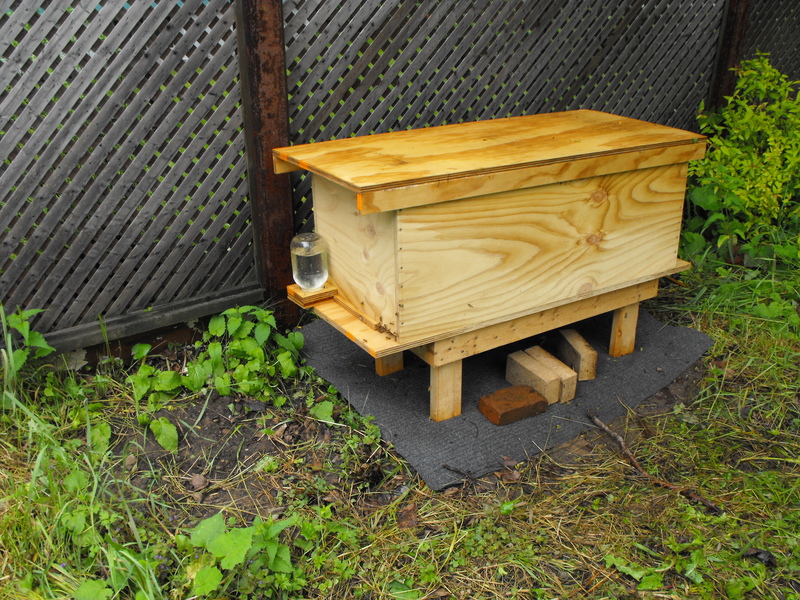 She says the theory is that bees look for trace nutrients from dirty water. The hose is fairly clean though, isn’t it? I’m not sure what I can do about this, but I definitely think it’s a problem. For now, I’m going to try point more holes in the lids of the mason jars that I use in the feeders. I sure hope our letter carrier doesn’t mind bees, because he has to walk right past the hose to get to our mail slot. 3 Responses to Thirsty bees. Personally i’ve never seen anything wrong with hose. It’s all about personal choice, we all need to get it from somewhere (water I mean).